That lime-coated, rusty shower head needs to go. Why wait? Out with the old and in with the new! 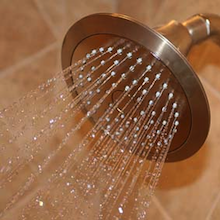 See how to remove your old shower head and install something better.